The history of the Indian subcontinent is extensive in both time and breadth; it spans several thousand years and involves an abundance of diverse religious and cultural influences. Across the sub-continent new ideas and influences have been absorbed, assimilated, and combined with indigenous cultural elements to create a unique syncretic sub-continent culture. The partition of India and the creation of Pakistan created many problems, and one of them was the unique syncretic religion of the sub-continent. In the new Pakistan, the devotion to ‘non-Muslim’ traditions resulted in the creation of Muslim saints and legendary stories to justify the devotion. Aban Shah, Baba Lal Hassan, worship of the acacia tree (which was also part of the Arab pagan religious practices) have been resurrected to fit the modern Pakistan narrative. 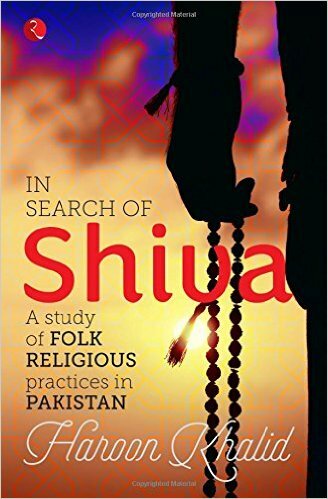 For his book In Search of Shiva, the author Haroon Khalid traveled to many parts of Pakistan to understand the syncretic religion that still lives on in Pakistan. He came upon several shrines in the Multan region and in Sindh where people still practise Hinduism and give it the name of Islam.The Hindu influence lives on in lighting lamps, presenting offerings to the shrine and even pro stating before the shrine/grave which in Islam is considered an act of shirk, and a blasphemy because it entails comparing an entity with Allah. In many sections of In Search of Shiva, you might forget that you are reading about Pakistan. The shrines are like the ones found in many parts of India – those that worship Shiva’s phallic symbol for fertility,those of Ghore Shah (Master of horses), Mast Shah (lover of eunuchs), Sher Shah (Master of tigers), Master of Crows and even shrines that make the mentally challenged well again. How girls are raped by the ‘peers’ who are supposed to bless and help them. The shrine custodians live off the gifts and money given to the shrines, and stick to a narrative that suits their purposes. The Shrine culture has all but disappeared from the cities, and now exists only in villages and rural areas. ‘Wadera ka beta’ by an artist from Karachi, had gone viral on the social media websites. The song criticizes the feudal culture of Pakistan, which is entangled with the shrine culture. Towards the end of the song, there are a few hilarious lines that say, ‘Saeen tu saeen, saeen ke kapre bhi saeen; saeen tu saeen, saeen ki ghadi bhi seen’.We could be talking about India here! Yet, the syncretic religion and its legacy is under threat in Pakistan. If the first reason was the partition from India, and the need to disengage from the shared culture, the rise in ‘pure’ Islam is the next wave threatening this culture. However, it now seems the legend and the tradition need another revision as the practices are facing criticism from those who espouse the puritanical versions of Islam. Just like Partition once altered the way this religious practice was perceived, a rise in ‘pure’ Islam would also have to be accommodated accordingly. Haroon’s eye for detail also throws up interesting observations. How, in the collective imagination of Pakistanis, the entire nation is of migrants from Iran, Afghanistan, the Middle East, Turkey and every other neighbor except for India. How Vaisakhi, Basant, Mehndi and other such festivals are celebrated with a sense of shame with practitioners secretly admitting that these are ‘Hindu’ festivals and therefore not their culture. There is so much that charmed me in In Search of Shiva. As a Sikh, I found it interesting to read about Gurudwaras, thriving or abandoned in Pakistan. And that Sikhs don’t accept the narrative that Guru Nanak was born by the blessing of Baba Naulakh Hazari. I was particularly amused by Haroon’s description of going for a langar. While a Sikh langar is vegetarian, this one had alu gosht and rotis! That Waris Shah’s version of Heer Ranjha is frowned upon at the shrine because it could corrupt girls to ‘dishonor’ their families like Heer did! That qawaalis came into being because Hindus were used to bhajans and they had to be attracted into the Sufi fold. Or that Eid Milad-Un-Nabi is inspired by Ram Navami. And how the moderate Pakistani society has been altered following the war on terror. 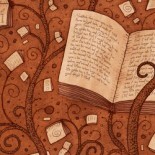 The book throws up an interesting and possibly unresolvable issue. Pakistan Studies taught in schools, begins with the Indus Valley Civilization, and goes on to discuss Buddhism and then the first Muslim invasion of Muhammad bin Qasim, leaving a vacuum of more than a millennium when Hindu kingdoms dominated this land. Yet, there is so much shared history so who becomes the custodian of The Mughals, Guru Nanak, Sufis, Manto and even Shiva – whose first prototypes appear in the Pakistani Harappa and Mohenjo-daro? In the nationalistic discourse, all traces of the Hindu past are obliterated because of the fear that they might dilute the Pakistani identity. Thousands of years of history and culture are reinterpreted to highlight the differences between Muslims and Hindus, Pakistanis and Indians. I really enjoyed In Search of Shiva though it could have done with tighter editing. And some pictures of all the amazing shrines he visited. I am looking forward to his next book on Guru Nanak! This entry was posted on May 19, 2016 by Preeti Singh in Contemporary, Non Fiction and tagged Haroon Khalid, In Search of Shiva.